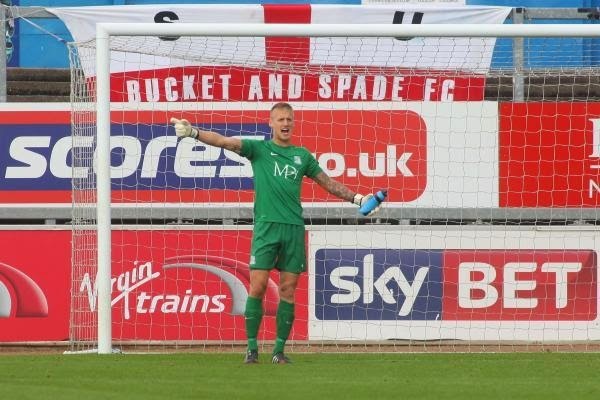 The rise and rise of Southend United's 21 year old goalkeeper Daniel Bentley continues today as he is served with keeping Wycombe Wanderers at bay during the League Two play off final at Wembley. 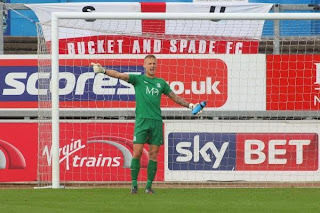 Born in Basildon, Daniel has amassed over 100 appearances for the Shrimpers that includes a club record set this year for consecutive clean sheets. At 6ft 4 he is an imposing presence and will be a considerable asset if today's game goes to the dreaded penalty shoot out! Not surprisingly, he has been repeatedly linked with a move to the Hammers and with 74 year old Jussi Jaaskelainen forced to retire this Summer due to EU elder abuse regulations would make the perfect understudy to Adrian. Good luck out there today Daniel! He'll need to be patient if he's behind Adrian. Will be wasted on the bench. Ooogh...i think that was an OG by Bentley.....Poor Sod!